Guest Blog: How Advanced Health Management Tools act as a Boon for Patients? Advanced health management tools refer to an electronic system that specializes in keeping medical health records. Its development was ignited by loss of focus when handling large volumes of papers, charts and files. With the help of this system, doctors are able to coordinate large support staff, manage complex business matters, and compile medical and billing information for patients. In addition, the system helps in dealing with regulatory and compliance issues. Advanced health management tools have far-reaching capabilities that are helpful in improving the quality of medical care for patients. Every person can get access to complete knowledge based health information including doctors’ location and experience. This means that patients are now in a better position to find the right medical professionals who can be helpful in addressing their medical problems at ease. The tools also help health professionals to discuss patients’ issues to come up with the best treatment approaches. With the help of technology advancement, doctors are capable of gathering every health data about a patient, and thus the ease of access to information promotes cost-effective testing and treatment services. With these tools, patients can receive appointments with medical professionals without having to make trips to physical locations and incurring commuting expenses. 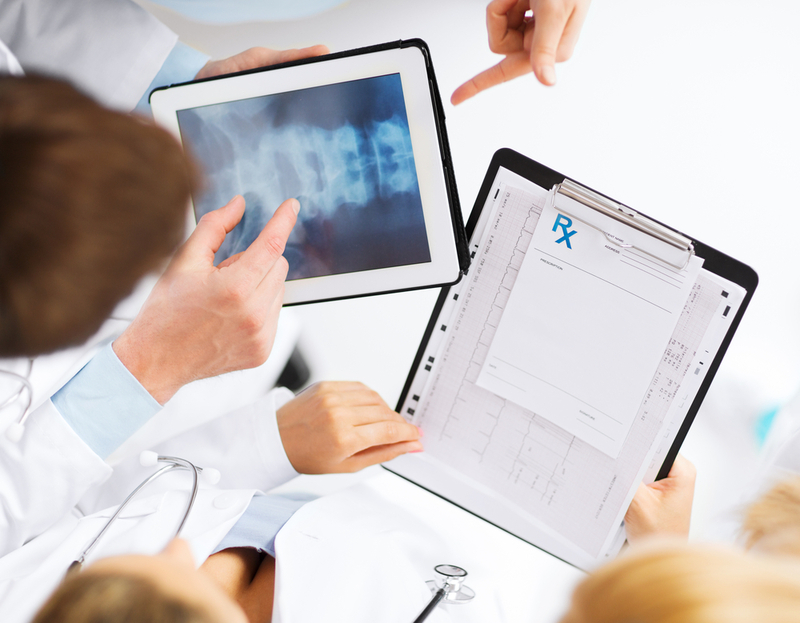 Patient’s recommendations and prescription can also be made virtually. In reference to Gary Hamilton, president and the founder of InteliChart, advanced health management tools will enable patients to easily access their personal data from an aggregated portal. This will give them an opportunity to utilize a single portal in connecting with all their health care providers and hospitals. Hamilton states that an aggregated repository is very crucial for organizations because it facilitates the next proceedings like care coordination and population health management. Patients will also interact with the aggregated portal to see one medication list and one appointment list from their providers using various vendors. Patients will be in a position to request refills and schedule for appointments using the aggregated list. In addition, patients are more likely to remain engaged when they get a chance to interact with crucial information from doctors using a single portal instead of a separate portal for every health care provider and a different hospital. After initiating communication or requests through the portal, patients will be automatically routed to the appropriate provider, hospital, practice. They will be able to renew medication, undergo tests and schedule appointments with the click of a button. The next generation portals will have the ability to streamline communication by automatically routing requests to the most suitable staff. There are few practices that have the resources required in creating a patient’s portal account for every patient. This has therefore made a rise in latest technology portals that allow patients to create account remotely from the comfort of their home or through mobile devices. This provides initial access to plan appointments and complete forms in any location. On receiving an authentication token from his/her practice, a patient will then have complete access to their profiles. According to Hamilton, patients can only adopt a technology that fits with their lifestyles. For instance, with the help of a mobile application, patients will be in a better position to access health information and maintain communication with their healthcare providers. This will ensure that the doctors are up-to-date with patient health information, and thus will give recommendations when necessary. Advanced health management tools deliver unprecedented guidance of a patient’s health that is analyzed according to the most up-to-date, evidence based practices to enable improvement across the entire population. If you are in good health, you can receive continuous monitoring as well as alerts that promote current wellness to reduce your chances of developing chronic disease. You will be alerted on when to attend a routine screening and tests for preventive measures and healthy living. The tools can also promote adherence to guard against negative interactions with other prescribed medications. If you have a chronic condition, such as heart disease, these tools will help you to find out whether you are using the most effective medication currently in use. Advanced health management tools is a boon to patients as it will help the health care industry shift from volume to value by embracing technology that promote clinical excellence. This will go a long way in improving patient satisfaction while reducing the medical cost. By monitoring patients’ personal health status over time, these tools will support high-value medical assistance. They will also give employers a chance to offer personalized health and wellness interventions within the shortest time possible. By getting incorporated in mobile devices, advanced health management tools will enable patients to have access to relevant information in their fingertips. Kelly Everson is MA in English Literature and an American Author. Her work comprises of articles appearing or forthcoming in over a dozen health care websites covering beauty skin care, weight loss, diet and overall men’s & women’s health. When she’s not educating strangers with her writing, she’s most likely researching about new discoveries on global internet magazine health, fitness and beauty industry. You can see more of her work at ConsumerHealthDigest. Connect with her on Facebook and Twitter.